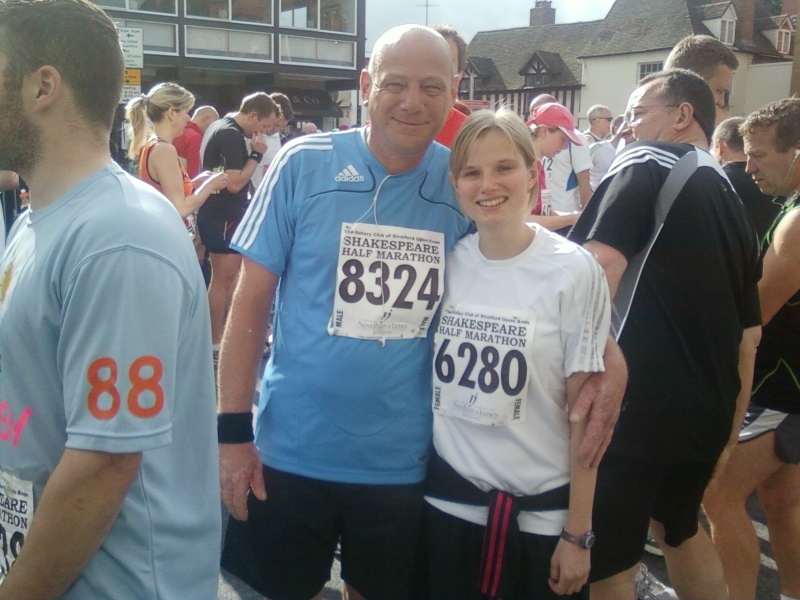 My official running journey started in 2009 when I was working at a gym and my boss Karen decided to set up a running group to complete the Shakespeare half marathon. Once a week we would go out and train for our long run with members of the gym. I completed this half marathon in 2:15, once I crossed the finish line my reaction was NEVER AGAIN. A year later sure enough I was standing on that start line again but this time with my Dad :) he made the mistake of saying “you will be getting me doing it next year” TIP 1 best not to say that to Hayley :) I helped my Dad go from only being able to run for a couple of minutes to running 10miles non stop. On the day we completed the half marathon together, it was a proud achievement to see him cross the finishing line and see how far he had come in a few months. After this I retuned back to football, but a few months later I was fed up of the niggling injuries and politics within the team. After leaving football I would run on the odd occasion but nothing regular. At the beginning of 2014 I was going to the gym weekly with Laura completing classes. One day I turned to Laura as asked her if she fancied going running :) lets just say if looks could kill I wouldn't be writing this. But after the look she said YES! The following months I helped Laura go from never running before to running 5 miles. Shortly after reaching 5miles Team Anstey made an appearance on Facebook. Laura sent me the invite to join the training sessions. We weren't able to make the first session however went down on the second session. I was surprised to see how many people were there and everyone seemed so friendly. Over the weeks I began to complete running sessions on a regular basis and was starting to really enjoy it. In April 2015 I completed the Shakespeare half marathon again this time in 2:09 a new Pb which I was chuffed about, I was also chuffed that myself and my Dad managed to raise over £900 for SANDs in memory of my friends baby “Noah” who was sadly born asleep in 2014. It was during this run that I decided I would have a go at running a marathon, until this point I had always said “no way would you ever get me running a marathon!”. But for some reason running the half marathon this time changed my mind. Following my half marathon in April 2015 I continued with the club completing league races and running on a regular basis. 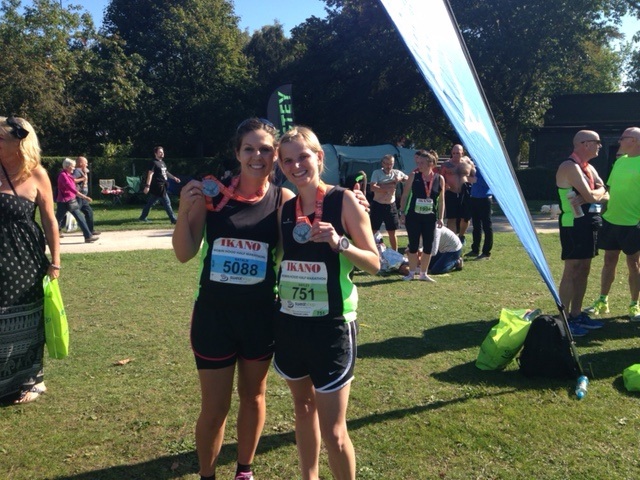 I completed the Robin Hood half marathon 2015 in 1:51 knocking 18mins off my time in 5months!! Then go on 4 weeks later and knock another 4 mins off completing Leicester half marathon in 1:47. After speaking to karen and Geoff, in Nov I took on the challenge of starting my marathon journey with Jo and Graham. Training consisted of long endurance runs, tempo runs, speed session and also strength and conditioning and balance work. There were many ups and downs during training, good runs and bad runs. I found it psychologically hard during my long runs at times thinking this is something that i was never going to achieve constantly asking myself why am i doing this? However with the support of Graham, Jo, Geoff and close friends this was soon forgotten and I was ready to tackle the next training session. 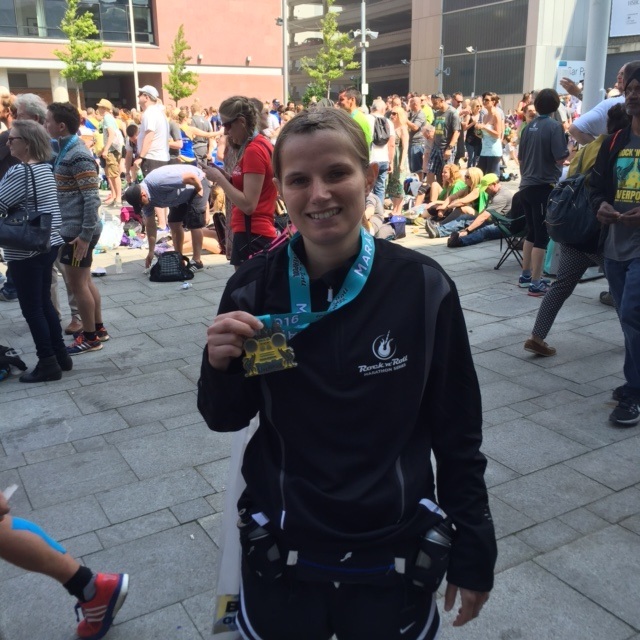 2016 – completing Liverpool Marathon and the training that goes with it. Also in 2016 completing Watermead challenge and finishing 1st lady which I wasn’t expecting. Having read peoples running journeys on the website, its true to say people take up running for many reasons whether it be running for charity in memory of a lost relative, help overcome stress or an illness. 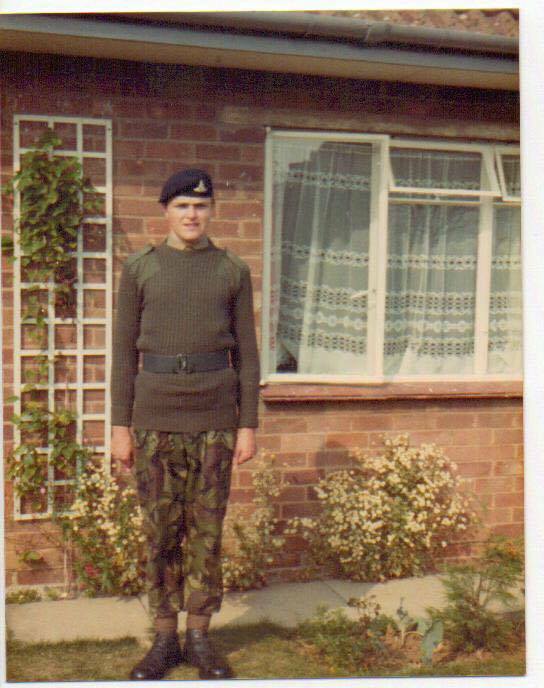 Unfortunately, mine is not so dramatic on joining the Army in 1977 as a spotted faced 18 year old with a fringe on my first Physical Training lesson a very large and well-built Sergeant Major with a big stick told me to run fast and being a good soldier I did as I was told and have tried to so ever since. (I did make my mum proud) On leaving the Army in 1999, my running days came to an end this was mainly due to bad knees and having to get a real job, I took to road cycling hoping to rebuild the strength in my knees. I did try a few runs on my own and suffered no ill effects so in June 2015 was considering getting back into running and nearly joined the B/Leys running club, whilst doing my research I was sat in my front room and saw lots of people wearing loud green vests running along Cropston road and returning some 30 minutes later every Tuesday and Thursday night. Thursday is pub night so walking along croppy road on a Thursday night I saw the same runners doing floor exercises in the field next to the nomads and decided the next week I would go along. That Tuesday I went along and I was met by Rebecca who welcomed me with open arms then told me to run towards Thurcaston for 24 minutes turn round and come back history was repeating itself (I might add Rebecca was no way as scary as the Sgt Major and far better looking). A couple of weeks later a place in the Huncote race came available and completed my first league race can’ t remember what my time was and to be honest didn’ t really care the atmosphere was fantastic and I got the running bug again. I then completed the remainder of the league races and the Notts and Leicester Half marathons – with what a considered a respectable time of 1hour 46. I remember at the end of the Nottingham Half saying to Tupp’ s (My Better Half) that I will never run a Marathon 13.1mile is my distance, little did I know then what would happen over the next 10 months. After the league races I was at a bit of a loss as to what my next running challenge would be, Hayley said she had signed up for the Liverpool Marathon in May 2016. To be honest I prefer running the longer distances and offered to run with her on her long runs for company if she wanted. After a couple of runs a partnership was formed which to be honest and not being over dramatic changed my life for the next 10 months and I signed up for the LiverpoolMarathon. IaskedGeoffifhewaswillingtoprovideatrainingplanformeto achieve/complete the marathon in under 4 hours (Back to someone telling me to run). When Hayley I stood on the start line in Liverpool we had completed some 900 miles in our training plan, my ears had taken a severe beating (boy can Hayley talk) we had good and bad runs, laughed and cried together but supported each other. I have to stress that had I not had the support of Tupps for allowing me to spend many hours on the road, Geoff for providing the plan and many other members of team Anstey for joining us on our training runs we would have not got there. 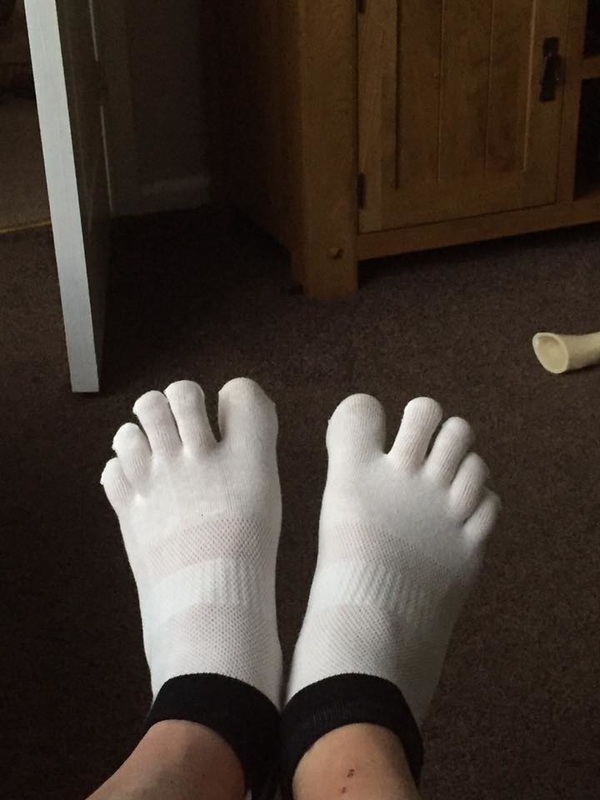 and now talc me feet before running. Having spoken to other Marathon runners in the club they have all said the first one is a learning curve so a couple of weeks after Liverpool I was back running with Hayley on yet another training plan that may or may not lead to another Marathon !!!!! watch thisspace. Rebecca asked me to list my proudest moment/ biggest achievement and Top Tips Biggest achievement is – Completing the Liverpool Marathon and all the training. 4 Hours after the event trying to replenish the lost calories. Seeing - Tupps and Tina run around the outside of the Nomads Football pitch after one of Geoff’ s training session. (The one where Geoff redesigned the pitch and made a crop circle in the middle). I have listed this because Tupps has never ran not that she has not wanted to She suffers from Angina, she does what she calls quick walking (Power walking). For someone in Tupps position to be inspired to run did make me proud to be a member of the Club and proud of what Tupps had achieved and she is going from strength to strength. Helping Alison Tupling complete the Swithland 6 Mile 2016 – Not sure if many of you are aware Alison Tupling is my little sis, who like me is not a natural runner but she has bags of grit and determination. Having finished the Liverpool Marathon, the week before I agreed to act as her pace setter for the race. During the race I took Alison out of her comfort zone and increased her normal pace, Alison completed the run in one her best times. I might add that was down to Alison and not me. It did make feel proud to see her cross the finish line knowing I had helped, and again that’ s the ethos our running club gives us, help others and always strive to do our best each time we run. I see every time we are out running whether taking part in training or races. 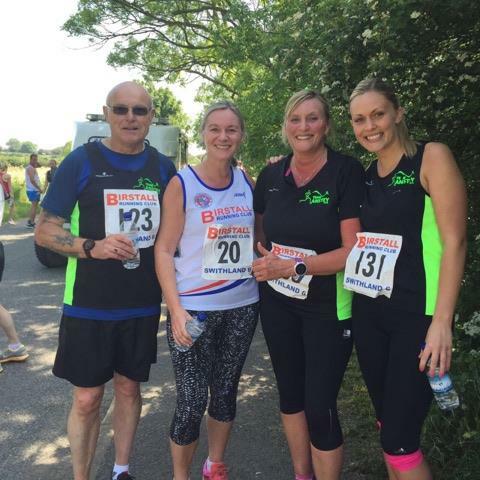 Left to Right – Me, My Cousin Jeanette (Did try converting her to Team Anstey) Alison (My Sister Bless), Charlotte (My Niece) (Keep your eye on Charlotte she is going from strength to strength with her running not long before the roles will be reversed and I will chasing her through Bradgate Park. Get yourself a running buddy to train with, when your having a bad day and can’ t be bothered to run, they will help you get out running and likewise you will get them out when they have theirs. Everyone says it and its true, never stop believing in what you can achieve – who would have thought 12 months ago this fat (not so fat now) old bloke would have ran nearly 1000 miles and enjoyed 90% of them. We all have the support of a fantastic club and fellow runners never be afraid to ask for help or advice if needed, I can guarantee you will get a positive response.